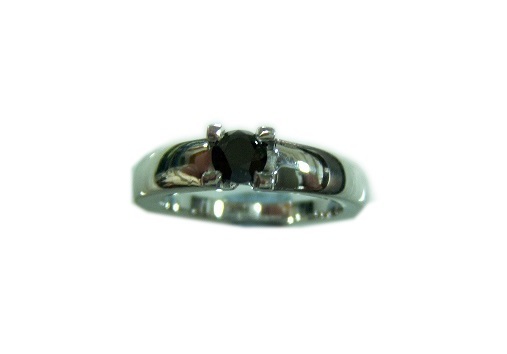 Made by a master craftsman: Ring silver of 925/000, weight 4,74 grams, with a black diamond brilliant cut of weight to 0.35 carats. As 14tatum. In accordance with the resolution of the United Nations, the diamond here described have been purchased from legitimate sources not involved in funding conflict whatsoever.